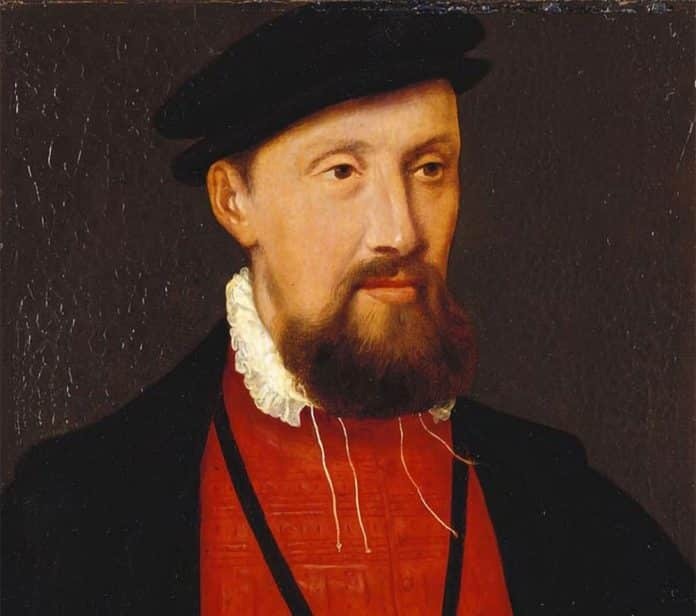 On the 27th February 1545 at the Battle of Ancrum Moor, just north of Jedburgh, a Scottish army under the command of Archibald Douglas, 6th Earl of Angus, wins a decisive victory over a larger English force commanded by Sir Ralf Eure and Sir Brian Layton. In 1543 Henry VIII of England had sought to secure an alliance with Scotland and proposed a marriage of his son Edward to the infant Mary, Queen of Scots. The Scottish nobility, led by the Regent James Hamilton, 2nd Earl of Arran, refused and instead renewed the alliance with France. In response, Henry declared war and in 1544 Edinburgh was burnt by an expedition led by the Earl of Hertford. The following year Sir Ralf Eure and Sir Brian Layton led another expedition into southern Scotland with an army which consisted of 3,000 German and Spanish mercenaries and 2,200 English and Scottish Border Reivers. Lured in by a feint attack and retreat by the Scots, the English force was taken by surprise and driven off the field, with the loss of around 800 men, and around the same number taken prisoner. The battlefield is included in the Inventory of Scottish Battlefields in Scotland and is protected by Historic Environment Scotland.